Happy Book Birthday to The Earl’s Childe! This month’s realease is The Earl’s Childe by T.J. Wooldridge, author of The Kelpie and Silent Starsong. My chore after dinner is to feed my kelpie. A kelpie, if you don’t know, is a carnivorous faerie horse. Until I accidentally gave him a piece of my soul, this particular kelpie had killed two kids near the hundreds-of-years-old castle my family and I live in. 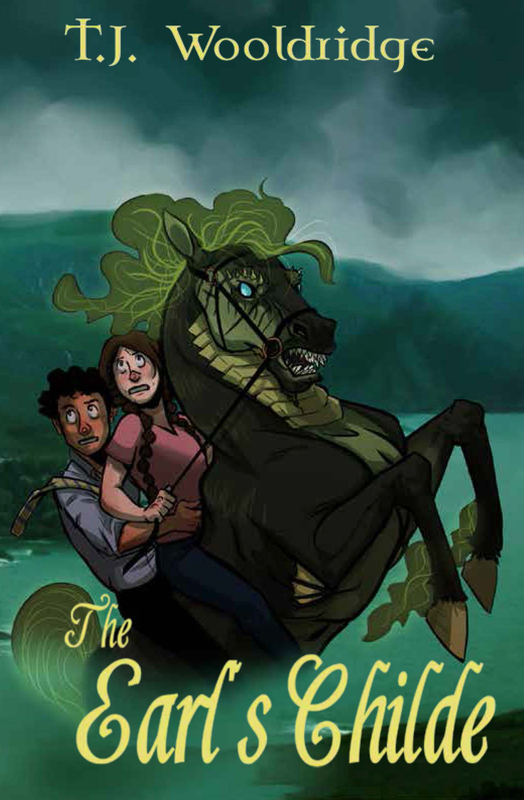 Heather MacArthur had a hard enough time dealing with the arrival of a kelpie into her life, but that was only the beginning. Summoned as liaison between humans and faerie, Heather is informed by the fey nobles that another danger has arrived in the area and is claiming rights to the MacArthur lands: a particularly mad daoine síth named Calbraith, that even the kelpie finds cruel and unusual. As luck would have it, twenty students have also just arrived at the MacArthur family castle for her mother’s riding camp. It will take Heather, her whole family, the royal family, and a few friends she didn’t realize she had, to keep Calbraith from enslaving–or killing–all of them. Read the first book in the series, The Kelpie. Get to know the author on her author page. 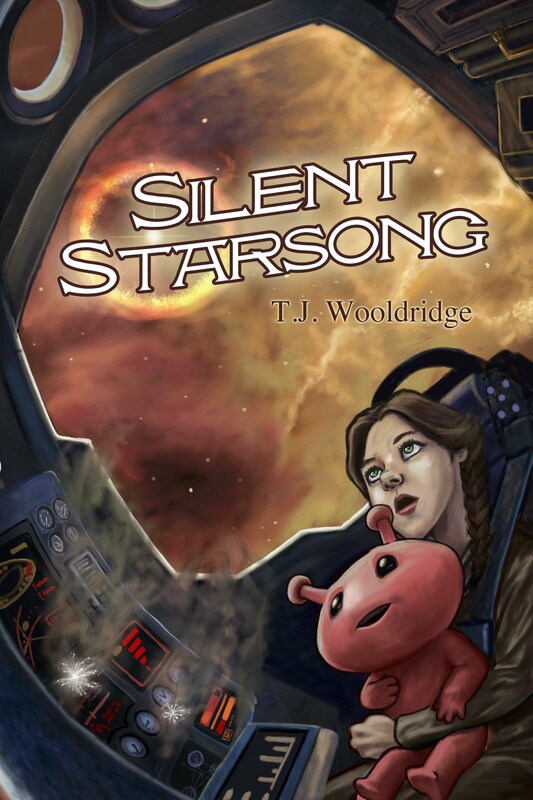 This month’s realease is Silent Starsong, by T.J. Wooldridge, author of The Kelpie. Like The Kelpie, Silent Starsong is a middle grade fantasy novel, but instead of taking the reader to the Scottish Highlands, Starsong soars upwards into the night sky, to far away worlds. We are introduced to the Starbard family–a family known for their ability to foretell the future from the songs of the stars. Eleven-year-old Kyra Starbard, however, was born deaf and will never be able to starsing. With the help of her best friend, Marne, a small alien telepath sold into slavery by his own people for being “too weak,” Kyra decides to make her own fate. TJ Wooldridge reads from the first chapter of Silent Starsong, in which Kyra and Marne, rejected and overlooked by their own kind, meet and form a close bond of friendship that will take them places neither ever expected to go. To hear the first chapter read by the author click here. Interested in purchasing Silent Starsong?Order the book on Amazon, Barnes and Noble or BAM!